Welcome to the new Debutante Ball, and to a new class of Debs! We, the 2014 Debs, are so very pleased to meet you and pull back the curtain on our new space. 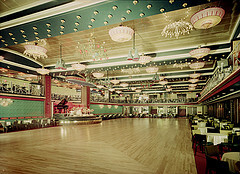 For starters, if you’re a regular reader of this blog, you’ll notice we’ve done some remodeling of the old dance floor. Take a spin around and see! And, in case you missed it, you can learn more about the five authors of the 2014 Debutante Ball here. Lori Rader-Day, our Monday blogger, revealed the cover of The Black Hour, and placed a story in Ellery Queen Mystery Magazine for the first time! Natalia Sylvester, who will be taking over Tuesdays, just finished revising and polishing her newest WIP in order to submit to her agent. Fingers crossed she loves the changes. Susan Gloss, who will be posting on Wednesdays, got ARCs of Vintage this week and loves to stare at the book in her hands. Heather Webb, Thursday’s Deb, sent off her little ones to their first day of school and now has writing time at normal waking hours for the first time ever. Lisa Alber, our Friday girl, is excited that the relaunch of her website coincided with The Debutante Ball’s relaunch. A relative Luddite when it comes to social media, she’s enthused that she got her Facebook author page up and running, too. She’s official, and she’s ready to chat! 2013 Deb Susan Spann is delighted to announce that the second Shinobi Mystery, Blade of the Samurai, is formally in production. She’s looking forward to seeing cover art soon. 2010 Deb Sarah Pekkanen is finishing up edits for her next book, Catching Air, due out May of next year. Welcome to the new Debutante Ball! I’m so excited to meet the readers of the Debutante Ball! Welcome to our class, everyone! Love what you’ve done with the place! Certainly makes me feel like dancing! Welcome to a wonderful year, ladies. The floor is yours! I can’t wait to mingle. This is already so fun, and we’ve barely begun! I love the new look!! I can’t wait to get to know the new Debs better!! And it’s nice to meet you, Anita! Love your site! Very excited to meet you, too, Anita! Thanks for sharing our big day with us! We are very excited to be here! I’ve got my dancing shoes on. It’s clear you new Debs have a lot of drive and enthusiasm! Congrats on the lovely new dance floor and best wishes for a fabulous year!! The site looks great and sounds like a great line up of authors! The new place looks terrific! Congratulations to the class of ’14 Debs! Looking forward to getting to know you all. Thanks so much, Lori! We’re so excited to get to know everyone. Welcome, new ladies–and LOVE the new digs!! Here’s to a whole new dance floor and a new year of dancing! Thanks Erika. This is so lovely. I feel like I’m already starting to make new friends.